Red Star Belgrade is an athletic club in Belgrade, Serbia. Its history spans from its creation in 1945 at the end of World War II. In February 1945, during World War II, a group of young men, members of the Serbian United Antifascist Youth League, decided to form a Youth Physical Culture Society, that was to become Red Star Belgrade on 4 March. At the end of the Second World War, several pre-war Yugoslav clubs were dissolved because they had played matches during the war and were labelled collaborators by Marshal Josip Broz Tito's communist authorities. Two of these clubs from Belgrade were SK Jugoslavija and BSK Belgrade. Red Star was formed from the remains of Jugoslavija and they were given Jugoslavija's stadium, offices, players, and even their red and white colours. The name Red Star was assigned to the club after a long discussion, and the first vice presidents of the sport society, Zoran Žujović and Slobodan Ćosić, were the ones who assigned it. After numerous proposals, Ćosić finally said: "Should we call our society the Star? ", and Žujović spontaneously said: "Great, if it is the Star, let it be Red Star". With this proposal all the attendees were agree, although there were suggestions that the club called the Blue Star. Anyway, Red star was soon adopted as a symbol of Serbia, a sporting institution that remains the country's most popular to this day. On that day, Red Star played the first football match in the club's history against the First Battalion of the Second Brigade of KNOJ (People's Defence Corps of Yugoslavia) and won 3–0. Five days later, a football section was formed, led by Kosta Tomašević and Predrag Đajić. The two of them defended the honor of Red Star on the playing field - Tomašević was the first striker and scorer in the history of the club (who scored also the first European goal for Red Star against Rapid JC during the 1956–57 European Cup), and Đajić was a strong midfielder. In the post-war 1946 season, Red Star won the Serbian Championship and thus was promoted to the Yugoslav First League. In the first seasons, the club achieved the 3rd place and two vice-championships. However, in the period from 1948 to 1950, the club scored a series of hat-trick triumphs in Yugoslav Cups, winning finals against city rival Partizan, Naša Krila of Zemun and Dinamo Zagreb. Red Star's first League championship was won in spectacular fashion. Three rounds before the end, Dinamo from Zagreb were five points ahead in the league (winning a match earned a club two points at the time.) However, the team from Zagreb was defeated by a team from Sarajevo, and Red Star won the rivals’ duel for the championship and entered the last round, trailing by a single point. The match between BSK Belgrade and Dinamo ended in a 2–2 draw, and the Championship was decided a day later, on 4 November, in a match with Partizan. Red Star's eternal rival had won the previous derby very convincingly earlier that season (6–1), but this time, Red Star produced the 2–0 scoreline that was needed and thanks to a slightly better goal-average, they became the national champion of Yugoslavia for the very first time. Red Star also won championship in 1953, however, real changes would yet follow in the middle of the decade, when a stable club structure was formed with Dušan Blagojević acting as president, Slobodan Ćosić as secretary general and the great Aca Obradović, famous for his nickname Doctor O, acting as technical director of the club. Together, they paved the way for a generation that would fully dominate the Yugoslav and European football scenes for the following five years. 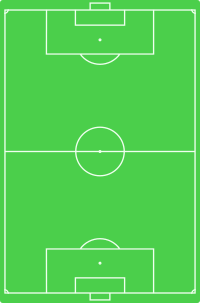 It was a team of players such as Beara, Durković, Stanković, Popović, Mitić, Kostić and Šekularac. Those football players, whose names are still remembered, won four Yugoslav championships and two Cups, not missing the opportunity to win every Yugoslav Trophy for five straight seasons. Red Star's play was fast and offensive, gaining the club great popularity both in the country and in the world. As they were winning matches on the field, Obradović formed the ground for professional work that would later serve as the basis of numerous successes achieved by the club. In 1956, Red star won the championship and achieved the semi-final of the 1956–57 European Cup, where they played against Fiorentina. Red Star striker Kostić had scored five goals in their four European Cup games so far. Despite Kostic's ability in front of goal, Red Star failed to produce any goals and so it was the Italians, who proceeded to the final. As champions, Red Star were Yugoslavia's entrants into the 1957–58 European Cup where they were famously beaten 5–4 on aggregate by English champions Manchester United in the quarter-finals, with the team managed by Matt Busby beating Red Star 2–1 in the first leg in England before drawing 3–3 with them in Yugoslavia in the return game on 5 February at JNA Stadium. The second leg is notable for being the last game played by the "Busby Babes". On the return flight to England the following day, the plane crashed in Munich, West Germany, resulting in the deaths of 23 people including eight Manchester United players. In 1958, Red Star won also its first European trophy, the Mitropa Cup, who had been played during summer, in the break between the seasons. The trophy was won without losing a single game. Rajko Mitić Stadium, known as "Marakana". The end of the fifties was the first period of dominance of one club in the Yugoslav football scene, but by the beginning of the next decade the focus of events shifted to the other side of Topčider Hill, where Partizan was located. In the following seven seasons, Red Star managed to win only one championship and only one cup, which was not enough for a club of Red Star's stature and ambitions. Its placement during these seasons was the worst in its history (including a seventh-place finish in 1963). Red Star even dropped four times below the first three in the table (before and after that, Red Star has never dropped below third place in 54 football seasons in the SFRY, FRY, SCG and Serbia). Even then, it was clear that Red Star was the most popular club in the country by far, and its defeats came down hard on its supporters. So, on some occasions, Red Star supporters had the tendency to burst onto the field and literally burn both goal-posts. In the 1963 season, the club only managed to score 21 goals, which was, for example, half the amount that Vojvodina scored, although they finished five places lower in the table. On the other hand, Red Star achieved good results on the international stage. In the 1961–62 Inter-Cities Fairs Cup, Red Star eliminated Espanyol in the quarter-final and for the semi-final, Red Star had to play against F.C. Barcelona. In both matches Barcelona turned out to be the better team and Red Star was eliminated. However, only eight months later, the Catalan club was defeated by Red Star in the same stage of the same competition. But even a 2–0 victory against A.S. Roma was not enough for Red Star to progress. Next to the international successes, Red Star continue to develop and building of a new stadium commenced in Belgrade at the end of 1959. In the following four years, Red Star played home-games in Partizan's stadium and the stadium of OFK Belgrade (this can be considered as one of the reason's for the bad results it achieved during this period). The new stadium was opened in 1963 and Red Star played against NK Rijeka, and in the course of time a sold-out Red Star Stadium received the unofficial moniker "the Marakana", after the famous Maracanã stadium in Brazil, and the stadium garnered a reputation of being a very tough ground for visiting teams to play in. During the first season of the stadium's existence, Red Star celebrated winning a double crown, seeing Milorad Pavić coach them to these victories. A key moment took place in 1966, when Miljan Miljanić became the club's coach. For the following eight years, Miljanić transformed Red Star into a highly rated European side. Up to then, Yugoslav football had gone through an introductory testing stage and the dominance of Red Star and Partizan continued. In the remaining 25 years of Yugoslavia's existence, Red Star would remain a constant trophy-favorite, only their opponents would change. In 1968, Red Star won its second Mitropa Cup trophy and after winning Red Star withdrew from the Mitropa Cup in order to focus more on other European competitions. Miljan Miljanić was a football player in Red Star in the 1950s, but it was during his tenure as head coach in the summer of 1966 that he achieved fame. In the first season, he completely changed the club's lineup of players and the club finished fifth in the table, the same as in the previous year. Afterwards, the generation led by Dragan Džajić, officially the best player in the history of Serbia and one of the best left wingers in the history of the world, began to leave a deep mark on Yugoslav and Serbian football. It was the first time that Red Star has won three football championships in a row, as well as two double crowns with players such as Dujković, Đorić, Dojčinovski, Karasi, Aćimović, Lazarević, Krivokuća, Ostojić and Klenkovski. At that time Red Star became a sound name on the European level as well. It was focusing on the Yugoslav Cup in 1971 that led to the club making its second worst league placement ever – sixth place – however, that impression was improved by winning the cup. Next to the cup victory, Red Star also made it to the semi-finals of the 1970–71 European Cup, where they were eliminated by Greek side Panathinaikos. In the first match, Red Star, roared on by a vociferous Belgrade crowd, beat the Greeks 4-1 in front of 100,000 spectators and looked to be in an unassailable position, until they went down 3-0 in Athens and thus lost out on away goals and missed again the final. Miljanić won another Yugoslav Cup with the team in 1973. Some new players emerged, such as Vladimir and Ognjen Petrović, Bogićević, Filipović, Janković and Keri. During the eight years of Miljanić's leadership, seven times it was the top-scoring club in Yugoslavia (in 1972 Velež scored one goal more), and in the last two seasons Red Star won the league title first by 12, and then by 18 points advantage over its closest rivals in the table. In the 1973–74 European Cup, Red Star eliminated Liverpool (the reigning champions at the time). By defeating Liverpool, Red Star became only the second foreign team that could beat Liverpool on the Anfield Road (after Ferencváros in the 1967–68 Inter-Cities Fairs Cup) and the only side to defeat Liverpool at home in the European Cup in the entire 20th century. However, Red Star lost the following quarter-final fixture against Atlético Madrid 0-2 on aggregate. Next season, in 1975, Red Star faced Real Madrid. The match was declared to be the Džajić vs. Camacho game by the press, because Dragan Džajić was the best left winger in the world at that time and Camacho was one of the best defenders. In the first leg, Red Star was awaited at the Santiago Bernabeu by Miljan Miljanić, now coaching Real, as well as by 125,000 fans, and was defeated by a score of 2–0. In Belgrade, Red Star managed to level the score on aggregate in front of 100,000 spectators by goals from Džajić and goalkeeper Petrović. Red Star finally won 6–5 on penalties and achieved for the first time the semi-final of the European Cup Winners' Cup. There, the team played against Ferencváros from Budapest. Red Star lost to Ferencváros by a score of 2–1, and the return game will always being remembered as the game with the biggest attendance at Red Star Stadium. Although 96,070 tickets were sold, it is estimated that about 110,000 people were in attendance. All of them went home disappointed, as a penalty-kick converted in the 83rd minute placed the scoreline at 2–2 and put Ferencváros into the final. As it usually happens, when a great coach leaves, this entails a drop in results, and the two seasons after Miljanić left passed less successfully for Red Star. It was not before the arrival of Gojko Zec in 1976 that the club achieved stability and soon Red Star celebrated winning the national championship at the Marakana. It was an introduction into the era of Branko Stanković, whose reign as head coach was to last four years and bring Red Star three trophies and the first great European final. After Dragan Džajić had moved to Bastia, the team was led by the fourth star of Red Star Belgrade, Vladimir Petrović "Pižon", Dušan Savić "Dule" and Srboljub Stamenković, who was to become a great football star in the United States later on in his career. The first season with Gojko Zec at the helm was quite literally a real demonstration of force – the league was won with an advantage of nine points over all rivals, which was, up to that moment, the biggest margin of victory in the history of the league. Red Star's strikers, led by Zoran Filipović, scored 67 times against their rivals in the league (the first to accompany them on the list was Borac Banja Luka with 53 goals scored during the season). In the following season, Red Star finished second in the league, paving the way for a great performance in the 1978–1979 season of the UEFA Cup. After eliminating teams like Arsenal, West Bromwich and Hertha BSC, Red Star achieved for the first time the Cup final. And there, Red Star met on Borussia Mönchengladbach, which played five European finals from 1973-1980. The Germans, awaited about 100,000 fiery supporters, fall in residues by a goal from Miloš Šestić, but Jurišić's gave Gladbach a psychological advantage before the rematch. This game was played at the Rheinstadion in Düsseldorf, where Italian referee gave a questionable penalty to the Germans, and the Danish player Allan Simonsen sealed Red Star's fate. The Foals won 2-1 on aggregate. The first championship for Stanković as a coach (as a player he was a champion for four times) was won in 1980, when Red Star missed double crown, and a year later Red Star was the champion again. An eleven-year period without winning the cup, the longest in its history by far, ended in the spring of 1982, where Red Star beat Dinamo Zagreb 6–4 on aggregate (2–2 in Zagreb and 4–2 in Belgrade). By that time, the first change in head coach during a season took place since the fifties, Stevan Ostojić replaced Stanković. In this period, Red Star achieved two times the quarter-finals of the European Cup. In 1981, they was eliminated by Inter, and in 1982 by RSC Anderlecht. It followed historical matches against Udo Lattek’s Barcelona during the 1982–83 European Cup Winners' Cup. In both matches Barcelona was the better team and Red Star was finally eliminated. Remarkably was, when Barça's Maradona scored his second goal in front of about 100,000 spectators at Marakana, the Belgrade audience were so excited about the goal, that even the loyal Belgrade fans applauded Maradona, till there unimaginable. Gojko Zec returns to the team in 1983, finding only one player from the champions generation he was coaching back in 1977 – Miloš Šestić. Zec similarly repeated the team's triumph from his previous mandate by winning the championship immediately upon his arrival. And in the same manner as during that season, the cup finals ended in Split, where Red Star again bat Dinamo Zagreb to lift the cup trophy. Especially after Petrović and Savić had left during 1982/83 season, Šestić became a leader of the new generation, the players like Ivković, Elsner, Boško and Milko Đurovski, Musemić, Milovanović, Janjanin and Mrkela. Bringing experienced players from all over Yugoslavia proved to be a formula of success. The end of the era of Gojko Zec coincided with the greatest scandal in the history of Yugoslav football, a Scheiber’s case, that made the country have two champions in two seasons. Red Star first lost and then won the championship in 1986, before it was taken away from it at the green table. However, in 1986, Red Star achieved also the quarter-finals of European Cup Winners' Cup, but lost against Atlético Madrid. In 1986, there were great changes in the club. The management of the club, run by Dragan Džajić and Vladimir Cvetković, began to build a team that could compete with some of the most powerful European side. During that summer, Velibor Vasović became coach and the side was strengthened by acquiring a number of talented young players, among whom Dragan Stojković and Borislav Cvetković stood out. In the first season that started with penalty points, Red Star focused on the European Cup and achieving good results. In 1987, a five-year plan was developed by the club with the only goal being to win the European Cup. All that was planned was finally achieved. On the club's birthday in 1987, it started. Real Madrid were defeated at Marakana. From that day through to March 1992, Red Star enjoyed the best period of success in its history. In these five seasons, Red Star won four National Championships (in the 1989, Vojvodina won the championship with Šestić, Mihajlović, Ljupko Petrović as coach and Kosanović as director). At the end of the 1989/90 season, Red Star finished with an 11-point advantage over all of their opponents in the league. A year later, they finished with an eight-point advantage compared to their closest rivals (both times it was Dinamo). All four seasons in which Red Star won the championships, it also played in the finals of the National Cup, however, they won the Cup only in 1990. The fact that Red Star was managed by as many as five coaches during these glorious five years (Vasović, Stanković, Šekularac, Petrović and Popović) seems strange to some, but at the same time it acts as a confirmation of the power of the red-whites both in management and on the field. In 1987, Binić and Prosinečki signed for Red Star, it followed Šabanadžović, Pančev, Savićević, Belodedici and Mihajlović. From the youth school was brought Stojanović and Jugović to the first squad. At the very beginning of the nineties, Red Star, fired by the goals of Pančev, trashed the competition in domestic contests, and in Europe it was ranked among the very best. They won unbeaten the 1991 European Cup in Bari and the 1991 Intercontinental Cup in Tokyo. The following the start of the Yugoslav wars, the disintegration of Yugoslavia and sanctions imposed by the UN on FR Yugoslavia, accelerated the process, which would, only thirteen months after the victory in Bari, practically leave Red Star without its entire generation of European and World champions and left the big question how many titles would this generation have won. The years up to 1991 were arguably the most important and successful years in the history of Red Star Belgrade, during which the club won its first European Cup and Intercontinental Cup. Since the mid-eighties, plans for winning the European Cup were made at Marakana. During the previous two decades, Red Star had achieved fine European results by forming the team out of its youth players and by bringing top talented footballers from other Yugoslav clubs into the team. The new Red Star management, led by Dragan Džajić, decided to take a different pathway. They opted for choosing the best Yugoslav players in order to create a team which could immediately compete at continental level, and even become a candidate for the European trophy. In 1986, first step in the new direction was taken by fetching Borislav Cvetković, Milivoj Bračun and Slobodan Marović, as well as by bringing along one of the greatest Yugoslav football player ever - Dragan Stojković "Piksi" from Radnički Niš. Only a year after this, "Piksi" was followed by Dragiša Binić, who later made one of the fastest European offense, along with Cvetković. It followed goalkeeper Stevan Stojanović, who came through Red Star's youth ranks. In 1987, the first big challenge arrived Belgrade. Spanish giant Real Madrid, with its stars Hugo Sánchez and Emilio Butragueño, were defeated in the quarter-finals of the 1986–87 European Cup season at the Marakana by 4–2, but "the Royals" had only knocked Red Star out on away goals (Real won in Madrid by 2–0). Red Star continues to build its "Dream Team" and Dinamo was left without the most gifted player – Robert Prosinečki, who won later with the Yugoslavia the 1987 FIFA World Youth Championship, including the winning of the award as tournament's best player. It followed the new Yugoslav representative and defender Refik Šabanadžović. In 1988, Dejan Savićević and Darko Pančev, the best remaining players of the league, signed for the Red & Whites, as well as the talented Ilija Najdoski. How much Red Star was ready for great accomplishments showed the subsequent season. In 1988, Marakana welcomed a new super spectacle with the unexpected reprisal. In 1988–89 European Cup season, Red Star played against Arrigo Sacchi’s A.C. Milan with its Dutch European champions trio Gullit, van Basten and Rijkaard, the absolute superstars at that time, as well as the devensive stars Baresi, Maldini, Costacurta and Tassotti. Milan was then the absolute power in football and the biggest challenge for the club, but at San Siro, Red Star shocked the Milanesi by a goal from Stojković and managed a well-deserved 1-1 draw. Many of the Milan fans worried of having to bid farewell to Europe, and rightly so. In the hell of Belgrade, Milan were in trouble when Savićević put Red Star ahead in front of 100,000 fanatical Red Star fans. Fortunately for them, Milan were saved when the game was abandoned in 64th minute by referee after due to thick fog. Due to extremely poor visibility it was decided that the match couldn't continue that day. The match was then voided and the game was replayed the next day. Striker van Basten gave Milan a first half lead, but Stojković equalised soon afterwards and there were no further goals. Milan progressed to the quarter-finals after winning the penalty shoot-out by 4–2, and won at the end also the European Cup. Even though the coaches switched each year, Red Star managed to maintain a game-style based on quick strikers and top quality midfielders and was almost excluded in its first attempt. In 1989, in a duel with Vojvodina from Novi Sad, Red Star lost the title, which later had tremendous impact on the game. Therefore, another attempt to take the European throne was dedicated to winning the UEFA Cup. In 1989, after eliminating Galatasaray and Žalgiris, came one of the crucial days on the Red Star's journey to Bari. Šekularac’s team was severely defeated and eliminated during the third round of the UEFA Cup against Littbarski’s 1.FC Köln, thus learning a key lesson in competitive soccer - the hard way. In Belgrad, Red Star won in front of (as so often in those days) 100,000 spectators by two goals from Savićević, but they went down 3-0 in Cologne, although Red Star controlled the game for the whole hour. Pieces of a puzzle continued to fit with former European Cup winner Miodrag Belodedici. In 1988, when Ceauşescu was still in power, Belodedici defected from Romania to Yugoslavia and Red Star immediately signed him. Romanian authorities forged his professional player contract, and UEFA suspended him on the basis of data furnished. In 1989, Belodedici was given the green light to play for Red Star. In 1990, Šekularac was replaced by Ljupko Petrović, the man who took away the title from Red Star only a year before with Vojvodina. He brought Red Stars's talented junior Vladimir Jugović to the first team (and soon Mihajlović from rivals Vojvodina). The club was seriously weakened by the departure of captain Stojković, who was undoubtedly among the best World players that year, which he proved at the 1990 FIFA World Cup. Stojković left Red Star for Marseille, not even assuming that he won't see his fellow-players before next May. Although without a captain, Red Star stayed extremely strong and well covered at each position. Red Star easily won the championship, and the time came for this carefully assembled equipe to prove itself at the highest level. Even if political situation at that time make this to a difficult thing. In the First round of 1990–91 European Cup, the draw placed the Grasshoppers from Zürich on Red Star Belgrade's path. The Swiss club, led by coach Hitzfeld and its stars Sutter and Sforza, shocked Marakana with Közle’s leading score, while Binić, who returned to Red Star in the summer (after two years abroad), managed to even the score. With the result being 1-1, Red Star had a difficult starting position, but the revanch at Hardturm stadium showed the real abilities of Petrović’s team. Prosinečki, who won the Best Young Player Award on 1990 FIFA World Cup, started a series of scores in the European Cup, by netting the rival two times, which two more scores were gained by Pančev and Duško Radinović. Therefore, another Közle's goal didn't upset anyone. Red Star defeat Grasshopper Zürich overwhelming 5-2 over to legs. The second round provided a real spectacle at Red Star Stadium, due to the fact that Scottish record-winner Rangers were visiting Belgrade. The Blues wanted a good result on this day. Nevertheless, the overcrowded Marakana with its supporters, the Delije, inspired Red Star players to perform another magnificent match, during which chances came one after another. Within minutes, in addition to Brown scoring an own goal, Prosinečki's free kick score doubled the advantage. Finally, Pančev provided a definite 3-0 result which led to an outburst of joy. During the return match at Ibrox Park, Pančev punished the rival again by using the attractive scissors-technique, after which the legendary McCoist was only able to even the result. Red Star demonstrated their power and the 1-1 draw in Glasgow brought Red Star a 4-1 aggregate master class. Red Star continued their impressive form into the quarter-finals. The club began a German tour, enhanced by Siniša Mihajlović from reigning Yugoslav champion Vojvodina (who was then being paid one million Deutch marks, for that time this was a lot of money) against the last East Germany champion Dynamo Dresden. The match was highly anticipated and at hell Marakana, scenery was the same as the one against Glasgow – a rival was overrun in front of incredible 100,000 Red Star fans (in front of the stadium further 20,000) and sent back home, following a 3-0 result. Even Prosinečki’s free kick scored again, and Binić and Savićević won the rest of the points, just like before. The atmosphere at this day was one of the best in the history of Red Star matches. The Dresden match had a bad beginning, the East Germans sparked hopes when they scored after only three minutes by Gütschow. However, a difference in game quality was soon noticed - Savićević and Pančev managed to reverse the result. The match was stopped in the 78th minute by the referee, due to Dynamo Dresden fans causing commotion in the stands and throwing objects onto the field. UEFA awarded a 3–0 win to Red Star, 6–0 on aggregate, and Red Star reached the European Cup semifinal for the third time in history, where they met FC Bayern Munich with its World champions. Red Star's starting lineup against Bayern Munich in Belgrade. (coach: Ljupko Petrović). Although Red Star experience with Bayern was bad, (two sequential losses a decade earlier), the club was dominated by optimism, mostly outspread by Red Star legend and director Džajić, who had announced a victory in Munich. Wohlfahrt’s score only temporarily gave Bayern the advantage, because Red Star took the initiative at Olympic stadium and struck back. Just before the half-time break, Prosinečki passed the ball to Binić, a quick run and a cross at the last goal-post followed, in addition, Pančev accepted the ball – the result was 1-1. Then, on 70 minutes, the Red Star defence broke down a Bayern attack and Pančev served Savićević perfectly, who ran from centre to the penalty area, and was untouchable for Kohler and Aumann, the result was 1-2 and about 15,000 Red Star fans on the north tribune celebrated the victory. Remarkably is, that Red Star was the first team that could beat Bayern on the Olympic Stadium in its long UEFA competition history. However, a gate on the road to trophy began to open-up and this was just the beginning. The Bayern was awaited by the Delije with a historical flare show around the whole Red Star Stadium. But soon, Yugoslavia was in fact on the brink of civil war, it straddled the first firefight of the war, as Croat extremists fired three Ambrust missiles into Borovo Selo on the border with Serbia, the village where Red Star midfielder Mihajlović grew up. And exactly he increased Red Star's advantages in Belgrade by a first half free-kick by two points. Agony started when Augenthaler’s free-kick went through Stojanović’s arms and legs. Five minutes later, Bender scored for a 1-2 result. Bayern evened the result and didn't intend to stop there. In the last 30 minutes, chances came in a row in front of both goals. As the game entered its final seconds, Red Star attacked for one final time. Then came the historical moment, Jugović conducted the ball along the diagonal and double-passed with Pančev. Prosinečki took over the ball, passed through the left side of the field and returned the ball to Mihajlović, after whose low cross into the penalty area Bayerns Augenthaler stuck out a leg to intercept, but succeeded only in sending the ball high into the air, Pančev confused Aumann, and it looped over his goalkeepers head and into the net. The sky opened, the stadium exploded and the amazing 100,000 Red Star fans were delirious. Red Star players and supporters went wild with delight for there was no time left for Bayern to come back again. The final whistle sparked off a huge celebration inside the stadium as well as a massive celebratory pitch invasion. The 4-3 aggregate win brought Red Star, after two semi finals, the first European Cup final in history, where waiting Olympique de Marseille. The 1991 European Cup Final was played in Bari. Red Star coach Petrović brought the team to Italy a week before the finals, in order to peacefully prepare the players for a forthcoming encounter with Olympique. By that time, Red Star had 18 scores at 8 matches, whereas the French champion had 20. Therefore, the 100th European competing final was expected to be a spectacle of offense. Nonetheless, both Petrović and Goethals opted for a defence and the match settled down into a war of attrition. After a 120-minute game and only few chances on both sides, the decision was made following the penalty shootout. Prosinečki hit Olmeta’s net by a right medium-high-kick, while Stojanović defended Red Star goal from Amoros’ kick by bouncing to the right, during the first series. It showed later that this was the crucial point of the game. Then came the scores, in the following order: Binić, Casoni, Belodedici, Papin, Mihajlović and Mozer. A chance to triumph got Darko Pančev, the winner of the European Golden Boot – he aimed near the centre of the goal, kicked the ball, converted and brought the European Cup to Yugoslavia for the first time. Red Star won the shootout 5-3 on 29 May 1991 in front of 60,000 spectators and the millions watching on television around the world. 20,000 Red Star fans at Stadio San Nicola and millions of them all over Yugoslavia and the World celebrate the greatest joy in Red Star's history. Sadly the night of the 1991 European Cup Final was to prove to be one of the final times that Yugoslavia could come together to celebrate as one. As European champion, Red Star Belgrade played for European Super Cup trophy, as well as for the Intercontinental Cup, who held for decades in Tokyo, in the far Japan. At that time, the Super Cup consisted of two matches. However, there was only one match against Manchester United, held at Old Trafford, due to war which had already begun in Yugoslavia. In spite of the fact that Red Star Belgrade controlled the largest part of the 1991 European Super Cup final, and the fact that Savićević glittered at the "Theatre of Dreams", the only goal was scored by McClair. In Tokyo, Red Star looked for a chance to finish the year with another international trophy. There, its rival was Chile's Colo Colo, the Copa Libertadores winner. On Santiago de Chile’s team bench was Mirko Jozić, under whose leadership Yugoslavia became a Youth World Champion, and Prosinečki, who was the World's best among those of his age. However, Prosinečki left the team right after winning the European Champion title (sold for €15 million to Real Madrid, one of the most expensive transfers at this time), just as Stojanović, Marović, Šabanadžović and Binić did. During the 1991 Intercontinental Cup final, Jugović, the youngest regular of the club, scores two goals at National Stadium and a brilliant play over the entire field brought him later the Toyota prize, which was intended for the best player of match. The superiority of Red Star was so oppressive, that even after the exclusion of Savićević just before the half time, another comfortable victory could be retracted. At the time of the red card, Belgrade were already 1-0 ahead by Jugović. However, another goal was gained by him and Pančev, which brought Red Star the final score of 3-0. On 8 December 1991, Red Star had everything that a football club can achieve, it was both the European Champion as well as the World Champion and was at the height of its fame. Dejan Petković wore the Red Star jersey 132 times. In 1992, the club was weakened by the departure of almost the whole champions generation (new players were later added, such as Drobnjak and Ivić). In addition, Red Star had to defend the trophy out of their country due to the war in former Yugoslavia (not even in Serbia, although there was possible), thereby reducing their chances of defending their title. The UEFA changed the form of the championship that year and instead of the cup they started the 1991–92 Champions League, in which eight best teams from the continent participated. On their way to the group stage, Red Star beat Portdown in Szegedin and Apollon Limassol, and as their opponents in the group they got Sampdoria, R.S.C. Anderlecht and Panathinaikos. It all started with the defeat 0-2 at Marassi, the first after 17 matches (the fifth longest series without defeat in the elite European competition), after which Anderlecht was defeated in Budapest, and Panathinaikos in Athens and Sofia. The key game Red Star played against Sampdoria in Sofia, when they lost the 1-0 lead and were defeated 1-3, with the Italian club winning the place in the final. The end of a long era, in which Red Star have, in 22 years, progressed 11 times to the spring rounds in Europe and played 24 successive seasons in one of the European competitions, ended in Brussels, where Red Star were defeated 3-2 in a match without any significance for the competition. In domestic competition, rival, Dinamo, left the league, just as all the other clubs from Croatia, Macedonia and Slovenia did, and the championship in a Yugoslavia that was cut in size was played on the edge of observance of regulations, because, in April, the war broke out in Bosnia and Herzegovina. At the end of May the UN had the country under sanctions and dislodging Yugoslav football from the international scene, the slogan - politics has no place in sport - was not considered here. The disintegration of Yugoslavia, the civil war (1992–1995), the inflation and the UN sanctions have hit Red Star hard. However, they defended its title and for the second time made a champion hat-trick (for the first time since the era of Miljanić), but at the Cup's finals, won by Partizan, it was already clear that hard days for the club were ahead. It followed a series of victories by the Black & Whites. The 14th cup arrived to the glass closet in 1995, and it was brought by another generation of great players, such as Dejan and Jovan Stanković, Kovačević, Ognjenović, Đorović, Stefanović, Sakić, Živković, Krupniković, Petković, Milojević and Stojkovski. Heading for the title, the legendary 100th Belgrade derby was also won in front of 80,000 spectators by goals from Kovačević and Stojkovski with 2–1, and Petrović was again sitting on the bench. Still, it was a short break during unsuccessful years, and under new and strange circumstances it was difficult for the club to find the right way. As the nineties were approaching their end, the 1998/99 championship was not finalized due to the Kosovo War, and Red Star finished at the third place, which was the club's only placement below the second position in the league in the previous 20 years. In the period between May 1992 and May 2000, only one championship victory was celebrated at Marakana. However, they did manage to win five cups, along with several glorious European performances. During the 1994/1995 season, the UEFA and FIFA accepted Yugoslav football clubs back, but while the national team continued where they had stopped in the spring of 1992, the clubs had all their results erased and were treated as the beginners in the European competitions. That's how Red Star, the European Champion in 1991, the group participant in 1992 and among the last sixteen in 1990, (all three years counted while deciding upon the seeded teams in the summer of 1995), was placed to the bottom of the list and instead of the place in the Champions League (as the Champion of SR Yugoslavia in 1995) was moved to the UEFA Cup. That decision will have long-term catastrophic consequences for Red Star – instead of enjoying the merits of its own many-year work and getting to the group phase of the Champions League over easier rivals, they would get harder opponents from the start and the competition would start already in July. The first international game was a friendly match against Olympiacos, which was won by 4–1 at Marakana. A large flag with "Welcome Orthodox Brothers" was a welcome gesture to Greek fans and players. Since the match, exist a friendship between these two clubs and their fans. The first European competition match upon the return Red Star played on August 8, 1995 against Swiss Xamax. 60,000 fans came to greet the new generation which, in spite of all the problems, had great ambitions, but after a sequence of missed chances, they were punished by a last minute goal. In the rematch there were no goals, so Red Star's season ended in the first round, which never happened before. If the first season in Europe was shocking, the second was promising. Under new coach Vladimir Petrović and with a new generation of players such as Stanković, Ognjenović, Njeguš and Jevrić, Red Star started the 1996–97 UEFA Cup Winners' Cup with the elimination of Hearts, and after a minimal defeat in Kaiserslautern, came the night that ended with three goals for Red Star in extra time. The award for the 4-0 victory was the duel with F.C. Barcelona. The Catalans, studded with stars like Ronaldo, Figo and Stoichkov, was the strongest team, which they affirmed by winning the Cup. However, Red Star lost in Barcelona by 3-1, but didn't surrender. In Belgrade, Barça went through to real hell and Red Star led by a goal from Jovičić, but Giovanni equalized, which was enough for Barcelona. The atmosphere at Marakana was probably one of the best in the last years, with magnificent choreography and the panorama of Belgrade in the west stand. Muslin, former coach of Red Star. The summer of 1999 was a new beginning for the club. Immediately after the NATO bombing of Yugoslavia ended, Red Star won the 17th cup in its history by winning 4:2 against Partizan. However, after a bad start to the following season, Miloljub Ostojić was sacked and the team was taken over by Slavoljub Muslin. As a member of the glorious generation of Petrović Pižon and Dule Savić, he brought a fresh philosophy to Red Star's team. During the two seasons he spent with Red Star, he set a defensive record by cutting the number of goals Red Star conceded by half. Red Star only conceded 19 goals in the 40 matches of the 1999/2000 championship. The title was practically ensured on the day of Đurđevdan, when Red Star brought another victory at Marakana, and Partizan only managed to pull off one point against Radnički Kragujevac. Three days later, Red Star won the cup. In March, April and May, they won all 20 matches in the league and the Cup. The following season, Muslin remained with the club. The Champion's title was defended. However, the cup trophy was lost. During this period, Red Star Belgrade made it for the first time to the reformed qualifications for the Champions League. In 2000–01 UEFA Champions League, Red Star played against Dynamo Kiev and it would turn out to be the best chance in the first five tries to reach the elite competition – it was 0-0 in Kiev, and in Belgrade 1-1. A new try followed during 2001–02 UEFA Champions League, when they played against Bayer from Leverkusen (0-0 and 0-3 in away), the later finalist. Muslin left the bench in September 2001, after which Red Star went on to lose two League Titles in a row. Another memorable match in this period was the 1–1 draw against Lazio at Marakana during the 2002–03 UEFA Cup. On December 22, 2001, Red Star and the Yugoslavian national football team tragically lost one of its former players and the Delije one of their darlings – Jovan Gojković, who played for Red Star from 1997 till 2000, died in a car crash in Belgrade. He was only 26 years old. The return of Muslin to the Club's bench in 2003, brought back the strength in leadership that was essential to Red Star. During this season, the club set a new record – conceding only 13 goals in 30 matches - and finally won the title. Many players contributed to these successes, some of them are Vidić, Ačimovič, Bunjevčević, Žigić, Bošković, Vitakić, Drulić, Kocić, Marković, Pjanović, Dišljenković, Dudić, Kovačević, Krivokapić, Perović, Mladenović and Milovanović. With Ljupko Petrović as coach for the third time in his career, Red Star finished in first place in the domestic league at the end of the 2003-2004 season. This was followed by a great preparation period of the rejuvenated team brought great ambitions, and the victory in Belgrade during the 2004–05 UEFA Champions League against PSV Eindhoven just made them stronger. However, the inexperienced team reacted badly, as PSV won the rematch 5-0 (Red Star's biggest defeat in the European club's history at the time), which would leave a deep mark on the whole generation. Still in shock, Red Star was heavy defeated by Zenit St. Petersburg and was out of the UEFA Cup, which psychologically scarred the team. They started losing the fight for the title. Red Star ended this unfortunate season with a defeat in the Cup finals (the second time in three years the cup was lost by them conceding a goal in the last minute of the match). In 2005, Dragan Džajić left the president's chair and abandoned his function after more than 20 years on the top. Red Star's third Star was replaced by Red Star's fifth star – Dragan Stojković – and, for the first time in Red Star's history, a foreign coach (Walter Zenga) joined the club. Two years of Red Star's full dominance in the sphere of domestic football followed, represented by double crowns and finishing the season with an advantage of 17 points ahead of rivals Partizan. In 2005–06 UEFA Cup, Red Star played a memorable match against A.S. Roma in Belgrade, where they beaten the Wolves by 3-1. In the 2006–07 UEFA Champions League season, Red Star tried again to reach the Champions League, but then it played against A.C. Milan with its superstar Kaká, one of the favorites for the trophy winning. The Rossoneri won 1-0 at San Siro, and later 2-1 at Marakana, and both games had a touch of the legendary matches from the late 80s. Red Star was indeed a good omen for Milan, because they won finally the Champions League, just like 18 years ago (both times wit Maldini). The following 2007/2008 season, Red Star started as the 16th team on the Europa list of all times, immediately behind Dynamo Kiev and in front of Celtic and PSV. During the 2007–08 UEFA Champions League season, Red Star had its last attempt to reach the Champions League against Rangers F.C., memories of the glorious 1991 arrived Belgrade, but this time Red Star failed narrowly to the Scottish team (0-0, 0-1 away) and landed in the UEFA Cup. But it was not quite to an end with the memories, because in the 2007–08 UEFA Cup group stage, Red Star awaited Bayern Munich, 16 years after the legendary Europa Cup semi-final in 1991, which was finally won in the witches cauldron of the Marakana stadium by Bayern with 3-2. The most important Red Star players in this period were Žigić, Pantelić, Janković, Luković, Basta, Biševac, Milijaš, Koroman, Castillo, Gueye, Tomović, Dudić, Đokić, Perović, Stojković, Burzanović and Purović. On November 15, 2007, former Red Star goalkeeper legend and member of the Intercontinental Cup winner generation of 1991, Zvonko Milojević, was involved in a car accident in Germany in which he received severe injuries (as of 2009, he's still recuperating and fighting to regain the strength needed to walk again). Red Star entered the 2007/08 season with clear ambitions, which, again, were inevitable at the Marakana – to defend their double crown and to play competitively in Europe. However, they haven't been able to achieve this goal. For four straight years, they have not won the League crown. During those for years, the title has been won by Partizan each time. Although Red Star did manage to pull off two cups win in 2010 and 2012, Partizan was eliminated (2-0 at home, 1-0), they have not had any major successes in the last four years and have not appeared in the Europa League since 2007. Since the beginning of the 2010–11 season, Red Star is a membership-based club. In only 1.5 years, the club achieved already a number of about 30,000 members. After a seven-year dominance of Partizan, Red Star in 2013–14 won their 26th title but was excluded from the European competitions due to breaching UEFA Club Licensing and Financial Fair Play Regulations. Two years later were won the new title with a record of 24 wins in the row. In 2017, Red Star qualified for the 2017–18 UEFA Europa League group stage after ten years with a progressing four qualifying rounds and later advanced to the knockout phase (for the first time after 25 years will be playing the European matches in the spring part of the season) after progressing from the group with Arsenal, Köln and BATE Borisov under coach Vladan Milojević which was took the seat before 2017–18 season. This page was last edited on 25 December 2018, at 02:48 (UTC).